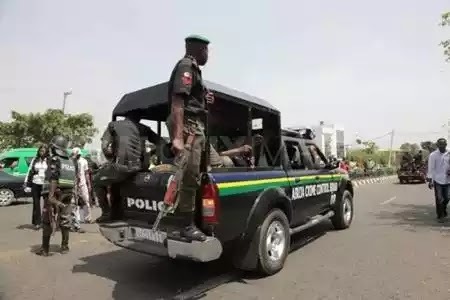 A 50-year-old father of four children identified as Raymond Ihugba, has been killed by his wife, Augustina, after a protracted misunderstanding between them in Akwakuma Autonomous Community in the Owerri North Council Area of Imo State. According to a report by PUNCH Metro, the remains of the victim who is said to be a stonemason, had been deposited at the mortuary of the Federal Medical Centre, Owerri, while the suspect was on the run. While speaking to a correspondent, the mother of the deceased, Mrs. Eunice Ihugba, said that trouble started between Raymond and Augustina because the latter was always making high financial demand from him despite his lean resources. Eunice explained that the matter came to a head when Augustina, who was reportedly armed with acid, attacked her husband on his site in Ubomiri. “Augustina poured the acid on him, set him ablaze and ran into hiding. Raymond was rushed to the Emergency Ward of the FMC, Owerri, from where he was transferred to the ward 10 of the hospital where he eventually gave up the ghost,” she said. The teary mother added that the suspect usually stole her husband’s money because of her ostentatious life style. Meanwhile, the traditional ruler of the community, Eze Charles Osuji, who confirmed the incident, described it as an abomination to the community, and assured that efforts would be made to apprehend the fleeing suspect and bring her to book. He advised residents of the tension-soaked community to remain calm and allow the police to handle the matter.